In the Australian news cycle, it seems Qantas and Virgin Australia are never too far away from the headlines. 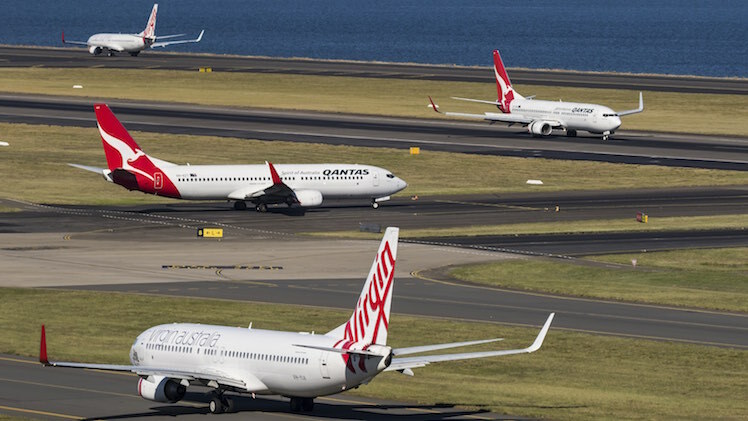 Over the past half-decade, the airlines have been critiqued for low share prices, a reduction in international routes as well as the unprecedented 2011 Qantas fleet grounding. However, a recent report from the University of Sydney has named the two carriers among the most efficient in the world. It has also found both local airlines are very resilient, an insight that is perhaps not surprising given the market conditions both face as ‘end of line’ carriers. The study, conducted by the Business School’s Institute of Transport and Logistics Studies, found that the age of the Qantas and Virgin fleets, uniformity in the type of aircraft flown and the number of aircraft in operation, gave the two Australian airlines an advantage in unit costs and operational efficiency over many other carriers. Australia’s largest airline, Qantas, performed better out of the two. It was ranked the 20th most efficient airline out of 150 surveyed globally. This result was calculated using a new algorithm which looks at passengers per number of aircraft, seat kilometres flown, the airline’s fleet, staffing levels, perceived service levels and profitability. The overall resilience of the carriers suggests they are well placed to handle changing market dynamics such as oil price fluctuations. Much of this comes down to future planning, with both airlines participating in hedging to reduce costs. Interestingly, the report found that consistently good customer service did not always correlate with repeat business, higher yields or higher profits. “Virgin America for many years was featuring very high in all quality rankings but never made much profits out of that exercise. At the other end of the spectrum you have Ryanair, providing a very low level of service but cheap fares and customers come back and they make huge profits,” Dr Merkert said. The study also looked at the efficiencies achieved through mergers and acquisitions. However, the study found that bigger isn’t always better, with some mergers actually resulting in a reduction of efficiency within the new carrier. “Our research has shown, however, that airlines can actually become too big to operate efficiently. Once you get to a certain size, and we’re talking about 200 billion available seat kilometres you get airlines that actually experience dis-economies of scale,” Dr Merkert explained. Quite a change from the QF of 2011. Looks like the long term strategy paid off. QANTAS has been flying a lot longer than Virgin. Will be ONE HUNDRED years, in 2020! Funny how originally, Virgin wasn’t going to have Airport Lounges, a frequent flyer scheme, or Business Class, but Branson soon realised he wasn’t going to be able to compete with QF unless he did all that, & then some. Even though Virgin has John Borghetti, a 36 years’ long employee of QF, before he resigned, as CEO now, they’ve got much ‘catching up’ to do. Will they ever ‘make it’? Doubt it……………..